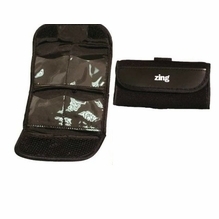 Zing Designs is a well-known maker of neoprene bags and pouches for cameras and camera gear, including camera pouches, camera straps, belt bags, lens pouches and meter pouches. 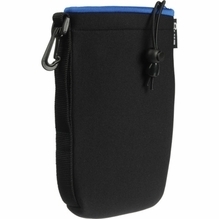 These sleek, lightweight and easy-to-carry bags keep your expensive gear safe from damaging moisture and dust accumulation. 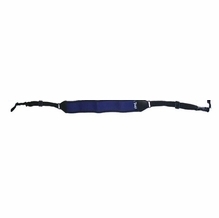 They don't take up much space, either, so you can store them in your larger gear bag or luggage during travel. 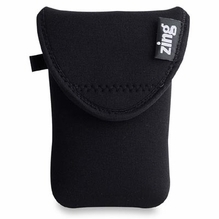 Zing Designs neoprene bags are highly versatile, so you can use them to store everything from large and small cameras to binoculars and cell phones. 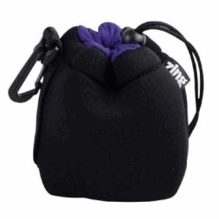 We have many Zing neoprene lens pouches for safely carting your most fragile lenses on location. 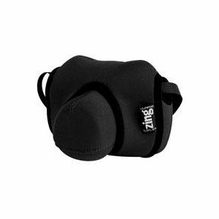 Choose from styles with Velcro or drawstring closures if you want quick, easy access to your lenses while keeping them protected in the field. 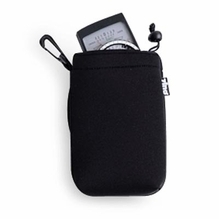 A small neoprene pouch can be attached to your belt or gear bag so you always have it on hand when you need it. 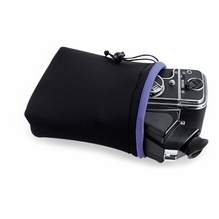 If you have any questions about which Zing neoprene camera cover or lens pouch to purchase, contact BarnDoor Lighting today at 1-888-276-3667 or email us at: info@barndoorlighting.com.